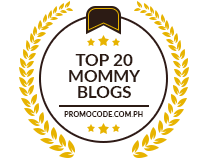 For those who did not know, my blog, Mom Writes, won as one of the Top 10 Emerging Influential Blogs of 2011 last September 13, 2011. With this, my heart is not only full of happiness but also with immense gratitude to all who believed in me and voted for my blog. God has given me a lot of online friends who believed in me for what I am as a real person and as a blogger. You see, my blog, Mom Writes, is not a known blog of mine. Most of my visitors there are friends who read the happy thoughts I have. They go there to celebrate with my happiness and be rejuvenated with the thought that good things can really happen (maybe not now but in the future) despite the storms we are going through in life. Those people who really know me and my family background or have been religiously reading this blog (Pinay Mommy Online) knows that the happiness I share at Mom Writes, are those that I have already lost hope before. So indeed they know that all those things are genuine and are really worth blogging about. When my friends believed in my blog especially the members of Pinay Mommies Community, I already felt that I have won the blog award even though my blog wasn’t declared yet more so when I saw that other bloggers from the other Filipino blogging community voted for me too. My blog was already a winner for me because of the love and support they have given. So when my blog was announced that it was one of the Top 10 Emerging Influential Blogs of 2011, my heart jumped for joy the second time because it was already official not only for myself but for all. 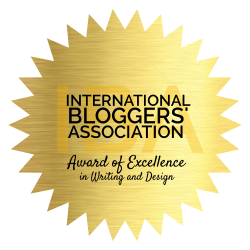 With this… I want to thank you all again for the love and support that you have given to my blog, Mom Writes, and also for me, as a blogger, a person, a friend. Thank you so much! God bless you all!!! Thanks to Ning Buning of Anything and Everything’s Free for sending me the certificate. Talk about love and support! Love you so much, girl!! A deserving win. Congrats again marz. Congrats Mommy Rubs… You deserved it! Congrats mami Rubz! I hope magkaganyan din ako in d future hehe..
way to go mommy rubz! Nako Yeng, watch out for me. I am going to nominate your blog for Philippine Blog Awards for 2011. You deserve this kind of recognition. you deserve it mommy rubz! congrats!!! you are really an influential blogger. More power!